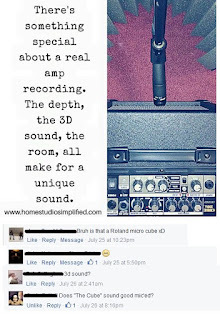 Home Studio Simplified: Recording Rules? "The only way to record_______ is..."
"Those mics are cheap Chinese junk and don't sound good on anything." "You can't record like that." "My DAW sounds great. My speakers are the best. My headphones cost $1200 so they're great!" "A DI acoustic track is useless." I included a few of the comments (at least the nicer ones) that I received from FaceBook. So many were commenting that they saw no problem with it, and had even had good results recording small amps as well. 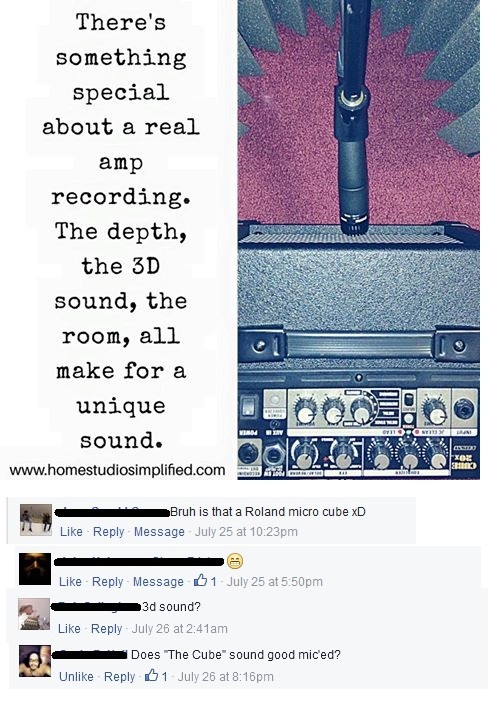 But the fact that there are still people knocking simple things like this proves that either they haven't done a lot of recording, they have gear snobbery, or are taking everyone's word as their own. Recently, I heard Sylvia Massy talking about "Adventure Recording" and how fun it was to try different things. In that interview she brought out some stuff, that had I posted, would have been scoffed and mocked. Her reputation as a unique Mixing Engineer however was predicated on her willingness to "break the rules" and try new things and even things that no one ever thought would sound good. My encouragement to you today is to experiment with new techniques and try out something even if others say it is not the status quo! You could find the next sound! I mean look at Abbey Road and all the great effects that came from their reckless abandonment of the "rules". Have a great time inventing!